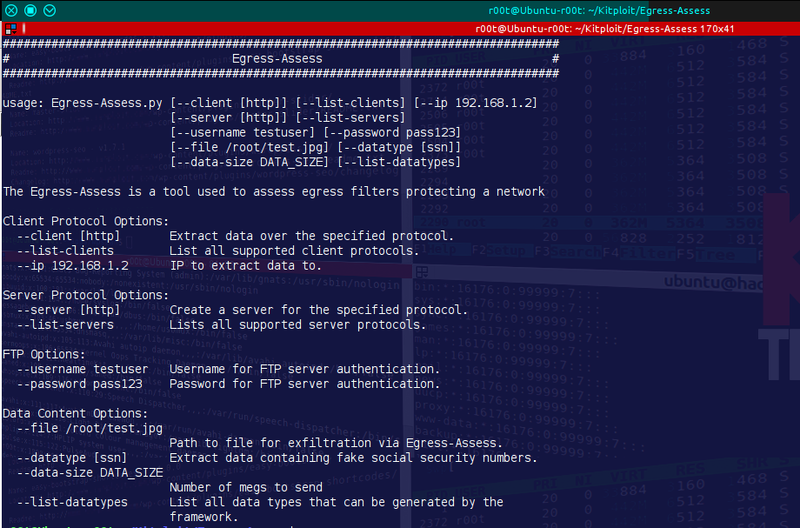 Egress-Assess is a tool used to test egress data detection capabilities. "openssl req -new -x509 -keyout server.pem -out server.pem -days 365 -nodes"
Typical use case for Egress-Assess is to copy this tool in two locations. One location will act as the server, the other will act as the client. 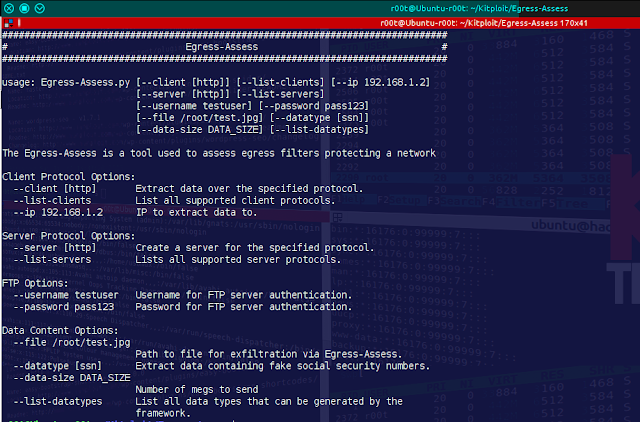 Egress-Assess can send data over FTP, HTTP, and HTTPS.